Gap Filler is an urban regeneration initiative started in response to the 2010/11 Canterbury earthquakes. The team at Gap Filler along with an army of volunteers, temporarily “activate” vacant sites with creative projects. The result is a series of imaginative spaces that engage and entertain as they bring people together. Look out for Gap Filler projects around Christchurch. 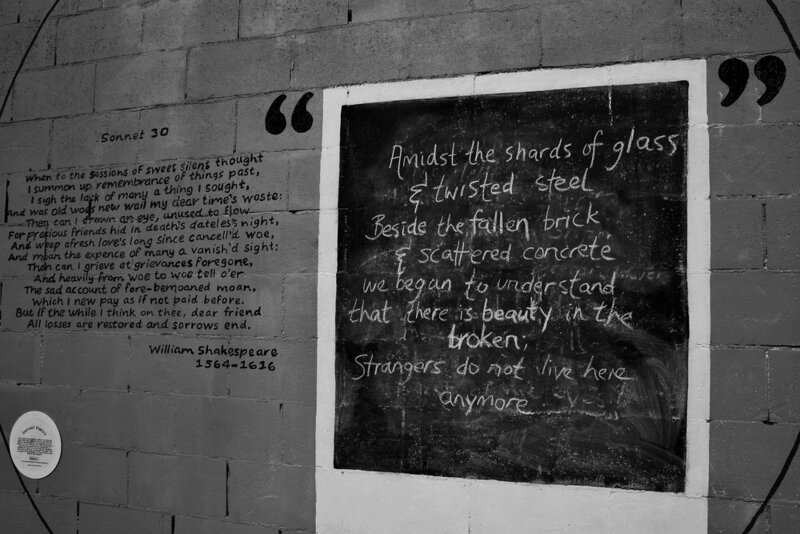 The Poetica site provides a blackboard space to write in chalk your own instant poem or post an existing poem that has inspired you. Poets can take a picture of their work and post it on the Poetica Facebook page. The 4 poems that are “liked” the most will be painted onto the Poetica wall. Helen Trappitt, a structural engineer, has transformed an empty lot into a Monopoly-inspired game piece. She came up with the idea after studying aerial photographs of Christchurch’s central-city red-zone buildings. Locals and visitors to Christchurch will remember that Cathedral Square used to be home to a giant chess set. The Community Chess project has restored this pastime to the city. It’s free to play and you can collect the key for the chess pieces from the new Honey Pot Cafe next door. One year on, and still going strong! New life was breathed into an old fridge when it became a repository for a community book exchange. Check it out, you might just find something that will keep you amused for a few hours.